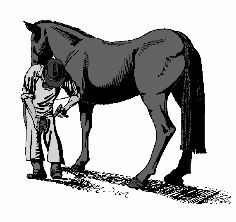 Please check this page for official Sunnyside Open Horse Show updates and announcements. Reminder: Save $$!! Pre-entry deadline is Sept. 3, 2019! A late entry fee of $10.00 per horse will be charged for all entries post-marked after September 3rd. Please welcome Triple Nickel Photography as our show photographer for 2019! Also, we do not reserve camper spots/RV electric hookups – they are first come/first serve as you arrive at the check-in board. Show High Point Awards for the following divisions will be presented after the completion of each division. Points are tabulated on the horse only (not a horse/rider combination). Points follow the horse by the horse’s assigned back number, and different exhibitors may show a horse. Please see the Rule Book for complete Class and Division description, cross entry rule and regs. *See Sunnyside Rule Book for important details!